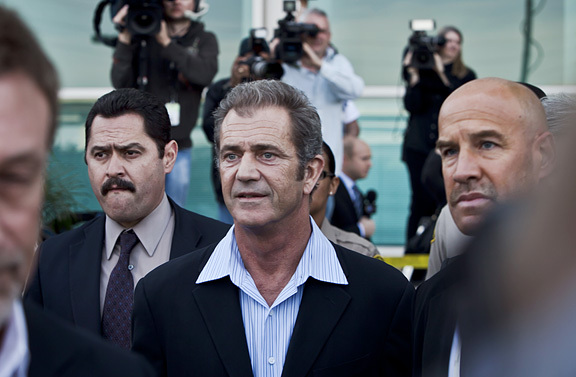 Mel Gibson made a quick court appearance at the LAX branch courthouse. He plead not guilty to a misdemeanor battery charge, and was sentenced to three years probation, he will also have to pay a fine. Gibson drove himself to the courthouse in a white SUV, and was none too happy about having to walk the the scrum of media cameras. He did so looking strait forward and not uttering a word. "I have to walk down that?!!"